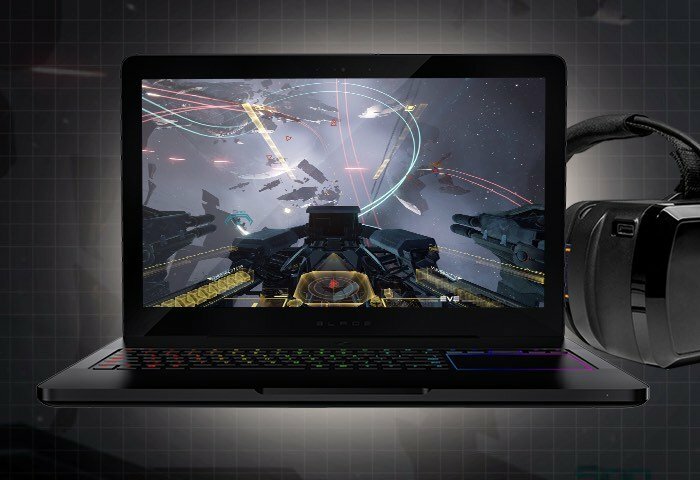 Razer has this week unveiled its new flagship gaming laptop which will take the form of the Razer Blade Pro will be available to purchase from November 2016 onwards with prices starting from $3,699. 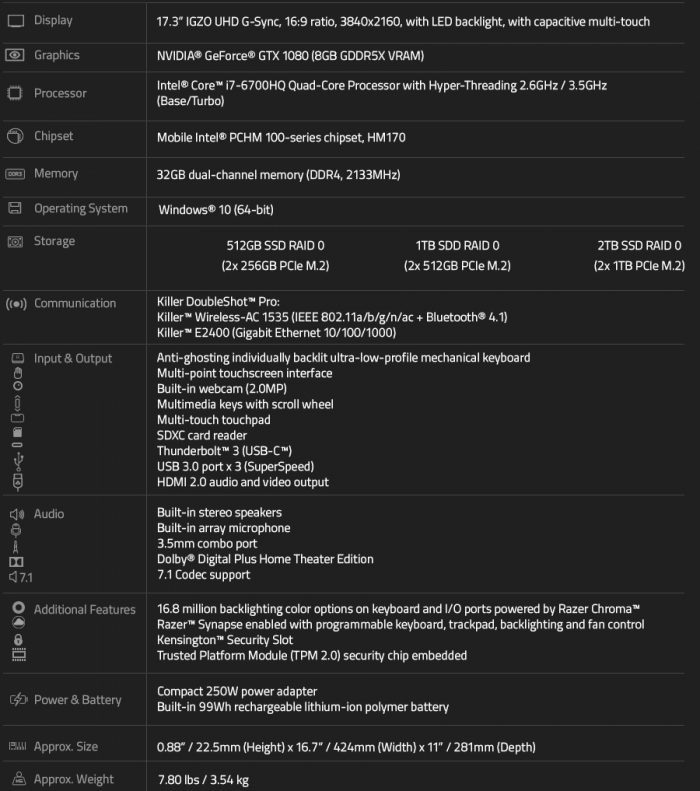 The Razer Blade Pro is equipped with a wealth of top performance hardware 32GB RAM, Intel i7-6700 and NVIDIA Geforce GTX 1080 graphics, together with a 17.3 inch capacitive touch display offer a resolution of 3840 x 2160. Setting a new standard for desktop replacement notebooks, the Razer Blade Pro delivers on the promise of a true desktop experience in an incredibly thin form factor. With all-new NVIDIA Pascal™ based GeForce® GTX 1080 desktop class graphics, the world’s first ultra-low-profile mechanical keyboard powered by Razer Chroma™, and sporting a stunning 17-inch 4K IGZO G-SYNC display, the new Razer Blade Pro is the ultimate portable powerhouse. Armed with the game-changing NVIDIA Pascal architecture GPU, unleash gaming dominance in the incredibly thin Razer Blade Pro. The flagship GeForce GTX 1080 delivers all the performance of a desktop in a mobile form factor with 3x the performance and power efficiency of previous-gen GPUs. Play your games the way they were meant to be played, at ultra-settings and in 4K resolution. Discover next-generation VR performance, the lowest latency, and plug-and-play compatibility with leading headsets—driven by NVIDIA VRWorks™ technologies. VR audio, physics, and haptics let you hear and feel every moment. Plus, bring more realism to every game with NVIDIA GameWorks™ technologies that deliver a cinematic experience and NVIDIA Ansel that enables 360-degree in-game capture to view in VR. For more information on the new Razer Blade Pro jump over to the official Razer website for details by following the link below.